Live music on Wednesdays (6-8pm), Fridays (7-9pm), Saturdays (7-10pm) and Sundays (11.30-1.30pm). The Yard at Waller Creek offers local, sustainable cuisine for a true Austin experience. 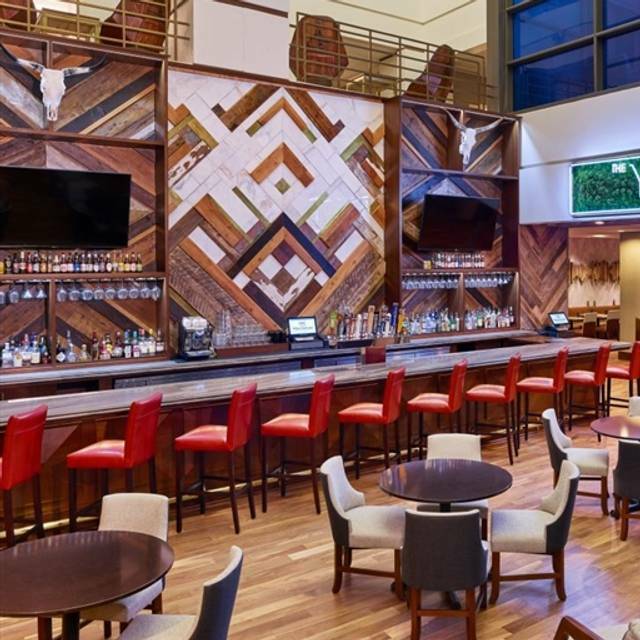 It's the perfect place to kick back on the patio or at the bar and take it all in. Chef Thad's food pairs perfectly with a great selection of locally inspired handcrafted cocktails and beers on tap. Celebrate Easter Brunch at the Back Yard at Waller Creek. Prob one of the worst dinner experiences I’ve ever had and also in Austin. They took care of bill for most. But I would never go back. Everything from start to finish was great, I’d definitely be back. 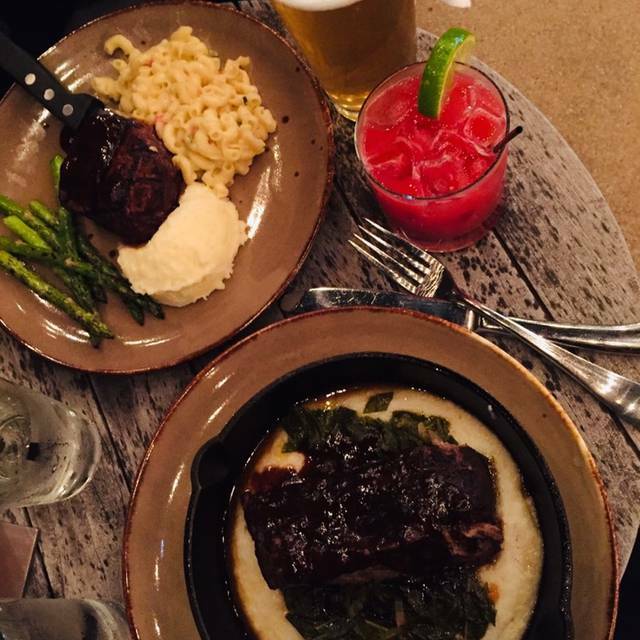 We had the filet mignon & the short rib over grits they both were great, The fiery ginger was delicious with a kick. Great restaurant for short notice meals. We order 5 Filets and each was exceptionally tender and cooked to order. We enjoyed our meal, although we did ask for horse radish, and they did not have this in the restaurant and the 3 couples bills were mixed up bc we did not sit side by side. The ladies wanted to sit with ladies and men with men, so it confused them. Other than those things it was a nice lower mid range restaurant to take our wives on Valentines! The Texas Association of Realtors had taken over the entire restaurant but staff still tried to cram in regular customers which was a mistake. Plus many of the realtors were quite drunk (over served?) Swearing including "F bombs" that could be heard throughout the establishment. Finally my Manhattan only had rye and a cherry. We came into Austin for a concert at the Erwin Center and wanted to find a place nearby. This fulfilled the ticket. Being in the Sheraton, there were several conferences in town. Two were having receptions - one at the bar and one in the Yard, so the noise level was high. We both had burgers but I did not want one with a bun. They were very accommodating and gave me a side Salad as well as extra salad on my burger plate. Our server was very friendly. Enjoyed our visit. We had a bachelorette party of 11 and the service was phenomenal. They went above and beyond for all of us. The food was also delicious! Attentive service. I had the avocado toast. Absolutely delicious and presentation was perfect as well. The Backyard at Waller Creek (also referred to as The Yard) is a nice little restaurant located within the Sheraton Austin Hotel. With a last minute reservation for a large group, which was a great find, we ventured down to the dining area. (Signs are quite vague, so locating the restaurant was initially a bit of a puzzle). The staff was incredible and very accommodating. We were quickly sat at our reserved table, and with children present, the entertainment from the band was an immediate blessing. Unfortunately, after taking our order, it was another hour before the food came out. Normally, that would be okay, but it's not so great with kids, who are hungry and creeping past their bedtime. When the food did come, a few dishes were cold, some overcooked, and generally so-so. I was a bit disappointed overall, but simultaneously still thankful for the wonderful staff and comfortable atmosphere for our crazy group. We dined here Christmas Day eve so it wasn’t busy or noisy. We ordered the 3 course dinner and it was delicious with ample servings. Can’t believe we haven’t dined here before. Will definitely come back. Server was the sweetest guy. Apologized that food took so long with a round of drinks. The menu was original and creative, but the food didn’t quite measure up. Friendly staff. Creative food. Will definitely be back! Friendly wait staff and food was very good! There was a wedding there and some very loud and opinionated guests regarding politics which disrupted our time there and we moved to another location. Good food. Manager was nice. I just want to give a HUGE shout out to The Backyard!! We were staying at the Sheraton and came in late after the Texas/USC game and were starving. It was midnight and the place was packed but they went above & beyond to get us seated & served so quickly!! Friendliest staff I have ever encountered & the food was great!! We made a reservation to eat there the following day for lunch and had the same experience!! We arrived at the restaurant where no employee was present at either the bar or the restaurant. It was 6:30 pm. When we tried to contact someone on the phone to cancel the reservation with Open Table we got a lengthy voicemail and never could cancel so we were locked out of Open Table and couldn’t make a reservation somewhere else. This was not good. We won’t be back and won’t recommend it to anyone. We went to the BackYard for Mother's Day...and it was not bad. I hesitate to write this review, because I think this restaurant would be great for the music shows that it sometimes hosts, which presumably take place in the evening. The stage is nice and the sound is excellent. But at high noon the pergola and such were completely inadequate for blocking the sun -- it was sweltering so much that most of the other diners were hiding on the shaded couches at the edge of the yard. Also, service got a little overwhelmed -- we had no coffee for about 30 minutes. But I would come back for the right event -- one at night, maybe. They were very accommodating to our large party and time schedule. Food was good and very friendly and attentive staff. The BackYard at Waller Creek was solid, especially for a hotel restaurant. Had the local Austin flavor which I appreciated. The service was horrible. The manager did not honor the open table reservation. Very crowed and very rude service. By all means avoid this place. It was New Year’s Eve. We had a large group so it was hard to find something. Food was good. It was very quiet. Service was rather slow. We were in town for Christmas and looking for a place to have Christmas Dinner. Many choices near our hotel were already booked so we decided to venture downtown and found this restaurant available on Open Table. They were hosting a Christmas Special that was a little vague on the site. We went expecting a more Traditional Christmas Fare, and that was not to be. However the food they had was very good. We both ended up having the Strip Steak, and Peppermint Cheesecake for me, my wife had the Strip Steak with a decadent Chocolate cake. We both had the Salad for our first course. Each course came paired with wines . We were very pleased with our food and thought the salad was absolutely amazing. Food was pretty good. They had no idea we were coming even though our reservation was confirmed twice through Open Table via text. Waitress gave me the wrong check and it took a long time to get the correct one.